Dice Bags There are 18 products. 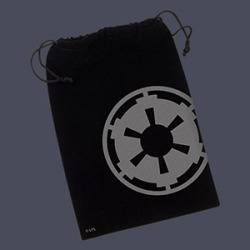 This stylish, 6.25" x 9" (15.9 cm x 22.9 cm) bag features iconic Star Wars imagery on black velour and seals with a polypropylene drawstring. 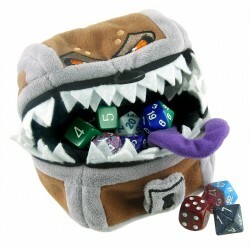 Treasure Nests are ideal for carrying your dice, accessories and other treasures! 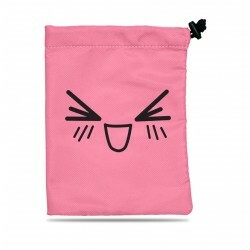 Features a soft, premium fabric with velvety inner liner. 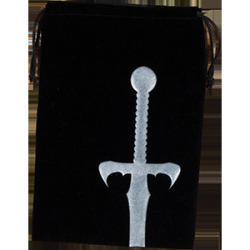 A secure, sliding drawstring clasp keeps your treasures safe. Measures 6.25 in x 8.5 in. 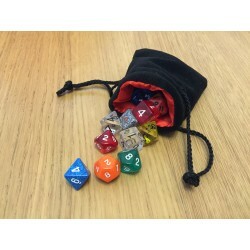 Small velvet dice bag (9x10cm) with 20 high quality Koplow dice included: 4x D6, 4x D8, 4x D10, 4x D12 and 4x D20. The pictures are just an example, dice' colors will vary. Emblazoned with the iconic Dungeons & Dragons ampersand, this Treasure Nest is ideal for carrying your dice, figures and any other battle implements to your next gaming session! 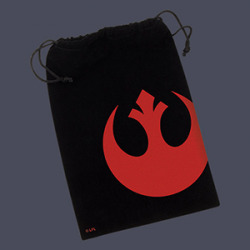 Featuring a high quality, soft fabric with velvet-like inner liner and a secure, sliding drawstring clasp, you can be sure your loot is well protected. Measures 6.25 in x 8.5 in. 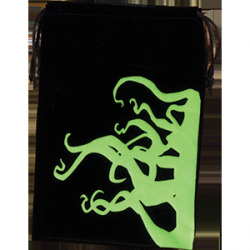 Inspire terror in your opponents while keeping your dice secure with the Fantasy Flight Supply Dice Bag: Tentacles. 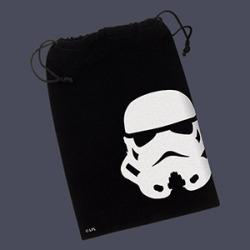 This vibrant, 6.25" x 9" (15.9 cm x 22.9 cm) bag is crafted of black velour with a polypropylene drawstring. 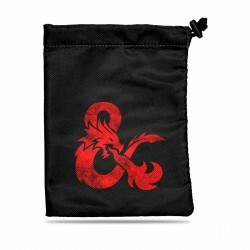 Openly acknowledge your favorite diplomatic tool while keeping your dice secure with the Fantasy Flight Supply Dice Bag: Sword. 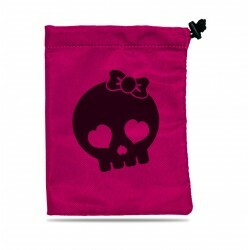 This vibrant, 6.25" x 9" (15.9 cm x 22.9 cm) bag is crafted of black velour with a polypropylene drawstring. 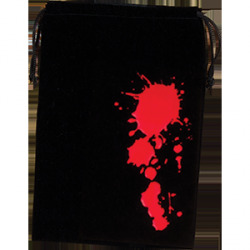 Leave no witnesses behind when you keep your dice secure with the Fantasy Flight Supply Dice Bag: Blood. This vibrant, 6.25" x 9" (15.9 cm x 22.9 cm) bag is crafted of black velour with a polypropylene drawstring. 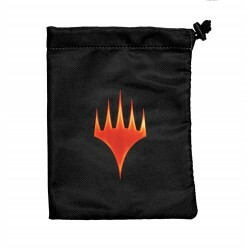 Emblazoned with the iconic Magic: The Gathering planeswalker symbol, this Treasure Nest is ideal for carrying your dice, figures, and any other battle implements to your next gaming session! 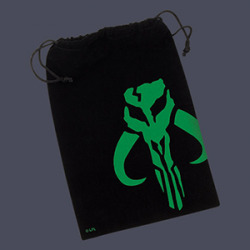 Featuring a high quality, soft fabric with velvet-like inner liner and a secure, sliding drawstring clasp, you can be sure your loot is well protected. 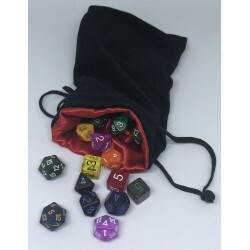 Big velvet dice bag (12x20cm) with 20 high quality Koplow/Chessex dice included: 6x D6, 6x D8, 6x D10, 6x D12 and 6x D20. The pictures are just an example, dice' colors will vary. 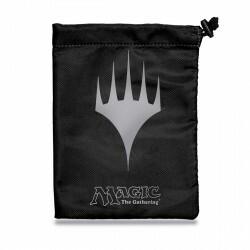 Keep your valuable tokens, dice and other gaming accessories safe and secure with this premium Treasure Nest carrying pouch. 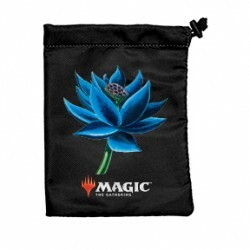 Emblazoned with the iconic Black Lotus card artwork from Magic: The Gathering trading card game, this Treasure Nest is ideal for carrying your treasures to your next gaming session! 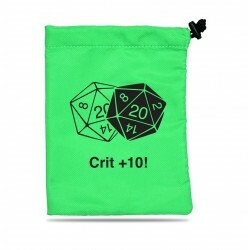 Keep your dice secure while braving the vagaries of fate with the Fantasy Flight Supply Dice Bag: Vortex. 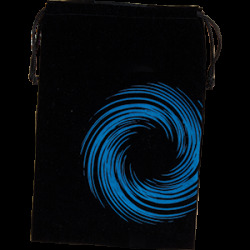 This vibrant, 6.25" x 9" (15.9 cm x 22.9 cm) bag is crafted of black velour with a polypropylene drawstring.